Excellent Gift Idea. 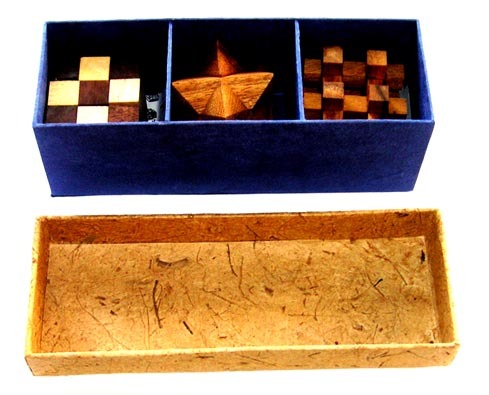 Three of some of the most popular puzzles packed in a recycled box. Please note: Image is indicative of the product only. Specific puzzles vary from what is pictured.